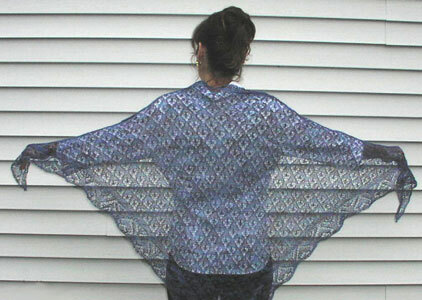 A lacy stole made with the beautiful new yarn, Glitter Alpaca, by Cherry Tree. The soft alpaca mixed with the touch of glitter makes this lacy stole come to life. 3 hanks of Glitter Alpaca are required.